Great Hundridge Manor Estate is mostly situated around ridges forming a boundary between the Hundreds of Aylesbury and Burnham, its very name still commemorating this ancient geographical fact. Originally the home of Walter son of Richard de Broc who lived at Great Hundridge in the 12th Century AD. In 1303 the right of free warren was given to the owner or Lord of the Manor. There are records showing that the Chase family of Concorde USA, founders of the Chase National Bank, originally came from Great Hundridge. Some of the Chase family in the United States can trace their descendants from Aquila and Thomas Chase who settled in Hampton, New Hampshire in 1638 to 1639. 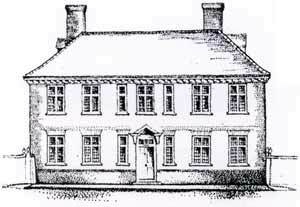 Many families have enjoyed living and working at Great Hundridge over the Centuries. When the manor house featured in Country Life on 15th February 1941 it stated in the text that with regard to the farming "Cobbett testifies to the quality". Nowadays, the owners and those responsible for running the estate are still very much concerned with quality, not only with the various properties and estate operations but also of course again with regard to the farming. The estate is still run in a very traditional manner.